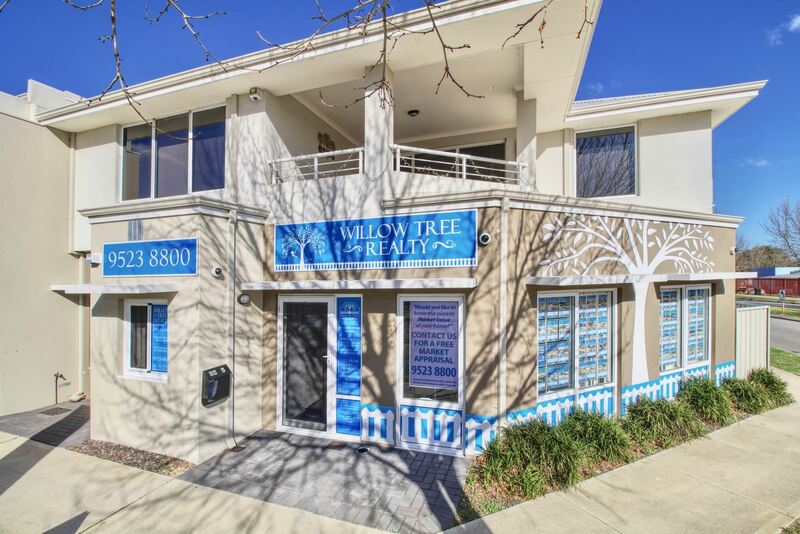 Located on the corner of Arpenteur Drive and Clyde Avenue in Settlers Hills Estate Baldivis, Willow Tree Realty is your local real estate agency. 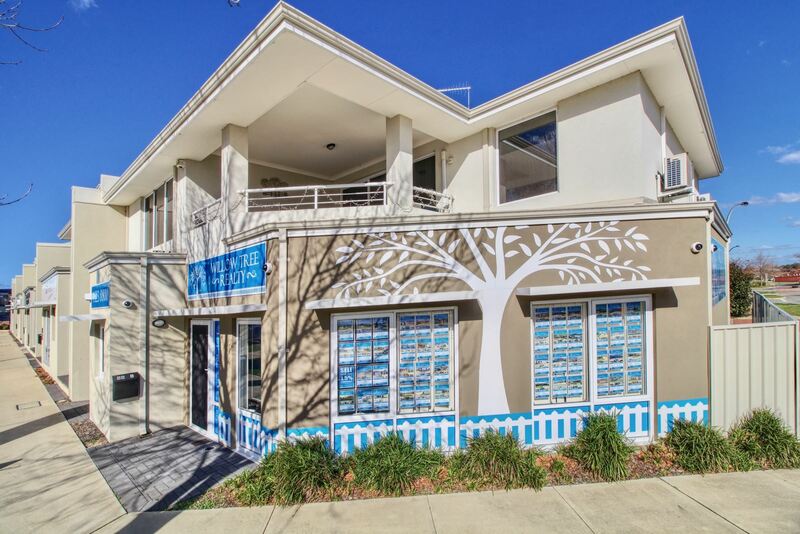 Our high profile office has a large amount of passing vehicle and pedestrian traffic to the nearby Tranby College and Settlers Hills Primary School. 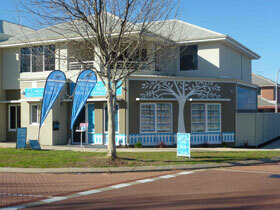 With our prime location, eye catching blue and white signage, our office is easy to find. Just look for the Willow Tree! All properties listed for sale are displayed in our windows. 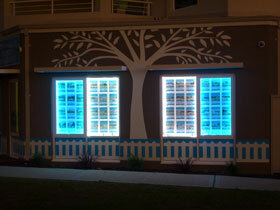 At night, our windows are illuminated in blue and white LED lights that highlight the window displays. 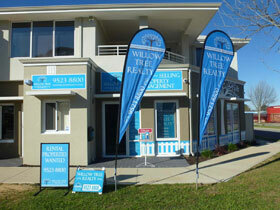 Willow Tree Realty is proud to be the only real estate office in the Baldivis and Rockingham area to display sale properties on a 55 inch, LED Crystal Display Screen. The Crystal Display is one of the brightest screens currently available. List your property for sale with Willow Tree Realty and your property will be guaranteed to have some of the best exposure available.